Since taking over the manufacturing, design expertise and capabilities of the Hill Graham® operation, Zeefax has provided continued support for the Big Orange XVIII well stimulation vessel, which has a large installation of legacy drives, originally provided by Hill Graham. The Big Orange XVIII support vessel, based in Montrose, Scotland, provides processing and installation support intended to keep oil flowing from the numerous North Sea wells. On board, electric motors are used for both propulsion and well pumping duty; the electrical power for these and the vessel as a whole is provided by three 3200kW diesel generators, and the whole system is managed and controlled by legacy Hill Graham AC and DC modules. Since acquiring HGC, Zeefax has taken over the support and maintenance of this equipment. The propulsion system uses two rotatable thrusters to ensure very accurate positioning of the vessel; there is a full complement of compressors and pumps which are used in the well stimulation process, and a total of fifteen 1200kW DC motor drives (SCRs) which control the power to the propulsion units and the pumping motors. A major feature of the power system is built in redundancy; all three generators are only needed if all drives are at full power, and under normal operating conditions, only two of the generators are required. 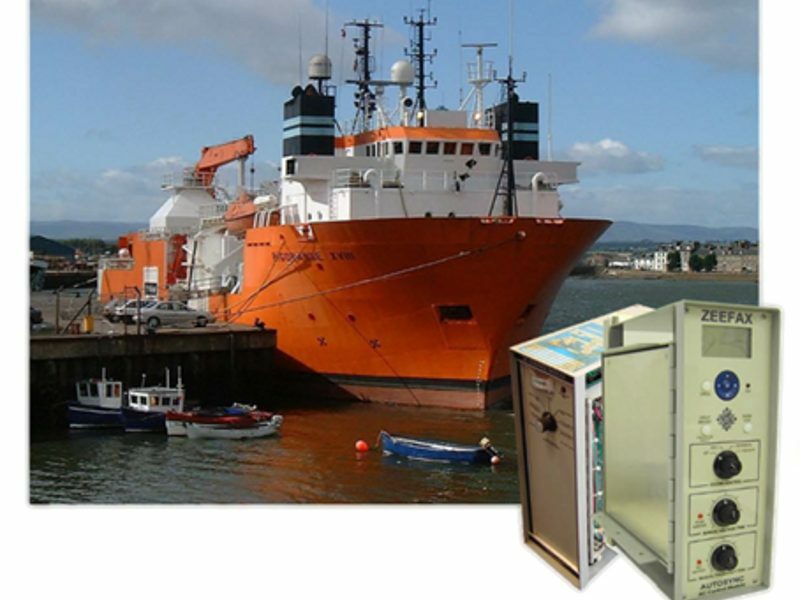 This means that if needed, the modules and the electronic circuit boards which form the control system can be replaced at sea and sent away for repair when convenient. The ability to turn an engine off when not at full load can lead to significant fuel savings for a ship on this type of duty. The 15 drives and associated electronic cards and modules which give the vessel the very high degree of control needed, plus the three engine and generator controllers, were all originally supplied by Hill Graham Controls. All this vintage, but complex, equipment needs highly specialised servicing and engineering support, that Zeefax provides from our design and manufacturing facility in Bracknell, near London.